David Leonhardt: There are two ways to fight the long stagnation in living standards for most Americans. The first is probably the more obvious and the one I spend more time writing about: through government policy. The government can raise the minimum wage. It can increase the Earned Income Tax Credit, which is effectively a wage subsidy. It can cut taxes on the middle class. It can spend more money on education, child care and health care. All of these are good ideas. But they’re not the only way to lift living standards. For much of the past century, another approach has been even more important: As the economy grew, American companies paid workers their fair share of the growth. Until the mid-1970s or so, this was the norm. The middle class and poor received larger raises than the affluent, in percentage terms, during the three decades after World War II (as you can see in this chart). Labor unions played a central role, using their power to win raises for unionized and non-unionized members alike. And political pressure and cultural norms also mattered. Corporate executives didn’t feel comfortable maximizing their own pay and their company’s profits at the expense of workers. How can the country return to a time when companies feel the need to pay a decent wage to their workers? Empowering labor unions would make a big difference, but unions aren’t likely to return to their previous strength. So it’s also important to look for other ways to put political pressure on corporate America. Which brings me to the story about Senator Bernie Sanders and Amazon. For months, Sanders has been criticizing the company for paying its workers too little. He went so far as to offer a bill called the “Stop BEZOS Act,” for Jeff Bezos, Amazon’s C.E.O. The bill was deeply flawed, but it still served to call more attention to the issue. Eventually, the criticism of the company started spreading to the political right, as Jordan Weissmann of Slate points out. All of this attention wasn’t pleasant for Amazon. It cares about its image. It’s in the middle of a high-profile process to open a second headquarters in a major city. Many of its executives, no doubt, genuinely want both to earn a profit and to improve people’s lives — just as the executives in the mid-20th century did. Yesterday, as you probably heard, Amazon announced that it was raising its minimum hourly pay to $15. About 350,000 workers will receive an immediate raise as a result. Amazon also called on other companies to do the same and said it would lobby Washington to increase the federal minimum wage. 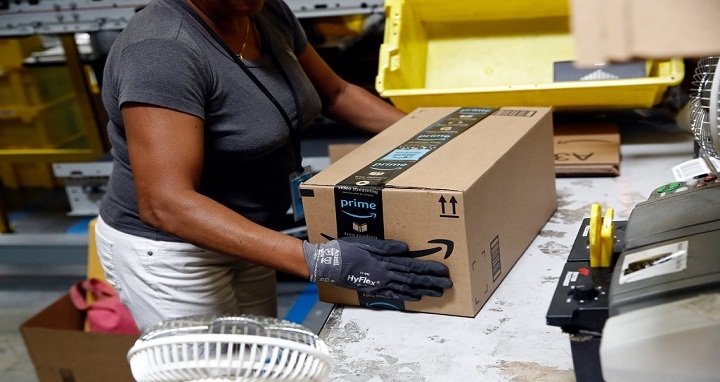 A tightening labor market no doubt contributed to Amazon’s decision, but politics — avoiding “the chance of regulations that pose a bigger cost down the road,” as The Wall Street Journal’s Dan Gallagher wrote — was the main factor. This is how democracy and capitalism are supposed to work. “Jeff Bezos admitted a real degree of failure here and openly stated that the critics were right and he was wrong,” wrote Shaun King, the writer and Black Lives Matter activist. “Thank you @SenSanders,” tweeted John Podesta, Hillary Clinton’s former campaign chairman. Bezos thanked Sanders yesterday as well, in a Twitter exchange. For more on the importance of changing corporate behavior, I recommend a recent book by Peter Georgescu, the former C.E.O. of a major advertising agency, as well as coverage and analysis of Senator Elizabeth Warren’s new legislation on this topic. Trump’s tax fraud. If you’re a subscriber to The Times and you’re feeling angry this morning about President Trump’s brazen tax cheating — as uncovered by a long Times investigation — I know how you feel. But I would also encourage you to make room to feel a small bit of pride, as well. A long journalistic investigation, involving multiple reporters and editors, is expensive. The reason my colleagues in the newsroom are able to pursue such projects is because of the financial support of subscribers. All of us who work here are grateful for that support. “If you’re wondering how Trump managed to evade the tax authorities for so long, given the brazen acts reported in that NYT piece, note that we’ve basically stopped prosecuting white-collar crime and tax evasion,” tweeted The Washington Post’s Catherine Rampell.